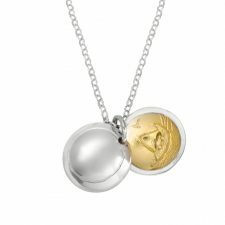 This Irish pendant is entitled ‘Treasured Voyage’, a tiny golden boat lies hidden under a silver dome. 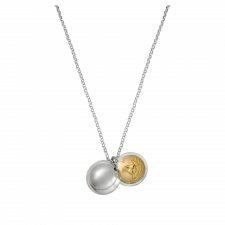 With a lovely sentiment, this Irish jewellery was inspired by the song ‘The Voyage’, written by Johnny Duhan and made famous by Christy Moore, ‘Life is an ocean, love is a boat, lyrics included with special permission. Hallmarked by the Assay Office in Dublin Castle and presented in a quality jewelry gift box. A beautiful dainty gold and sterling silver pendant on a slim 16″ chain. 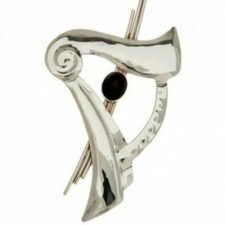 Elegant Irish jewellery by Garrett Mallon, made in Co. Louth, Ireland.